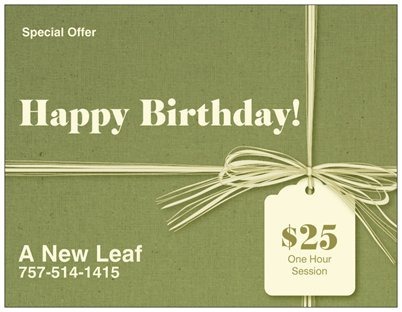 Make sure I have YOUR birthdate and address so I can send out this coupon to you on your birthday. Coupon never expires and can be used by you or anyone you’d care to pass it on to. Happy Birthday! Previous Post: Weight Management Promotion just in time for the New Year! Next Post: I’m Taking an EFT Certification Course!! !